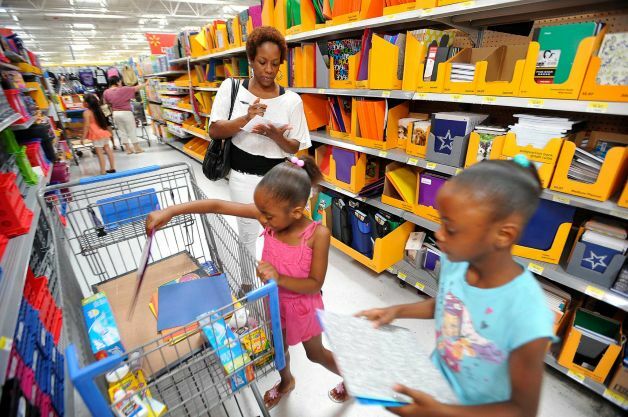 It’s that time of year again, back-to-school season – otherwise known as “back-to-school shopping season”. It’s an exciting, enlightening, and usually, exhausting time of year, but there are ways to make things a little bit easier on you. To help, we’ve created a handy back-to-school shopping guide, so you can focus on getting your A+ students ready for the year ahead! A recent study asked hundreds of Canadians what they’re planning on buying this school year, and 80 per cent said clothes, 75 per cent said shoes, 74 per cent said school supplies, 61 per cent said back packs, 44 per cent said textbooks, and 20 per cent said beauty and grooming products. It’s a lot to remember, we know! So, if you’re worried about forgetting something, you can check out this awesome back-to-school checklist here. The Source, Winners, Michael’s, and more. Indigo, Hudson’s Bay, The Source, Best Buy, Shoppers Drug Mart, and more. Indigo, Hudson’s Bay, Shoppers Drug Mart, and more. Staples, Ikea, Midoco Art & Office Supplies, Above Ground Art Supplies, and Hangi Gifts. It’s no secret that back-to-school shopping can get a bit expensive, so we’ve hand-picked the best deals and seasonal offers for you. Indigo has their discounts listed here (we love their Fancy Pen Pack), you can browse through Staples’ everyday-low prices here (the Really Useful Pencil Box caught our eye), and you can take advantage of The Source’s Tech Event here (if you need new printer, you’re in luck). That being said, we also recommend you gather up all your existing school supplies, and see what “has” to be purchased, and what “can wait”. 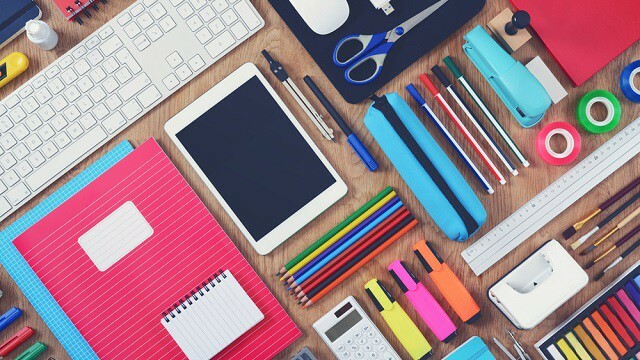 Even though the above sales look great, August isn’t always the best month to buy school supplies. Statistically speaking, August is ideal for making those “big” back-to-school purchases (computers, laptops, printers, speakers, etc. ), because competition is fierce between manufacturers and retailers. However, September is typically the best month to buy traditional school supplies, as stores want to get rid of their surplus. As always, slow and steady wins the race! There you have it! We wish you luck in your back-to-school-shopping endeavors, and hope you and your family have a lovely start to the school year. If you would like to learn more about Marlin Spring and our communities, you can visit us here.